I can’t think of many things that make your house smell as amazing as homemade cinnamon rolls. This Copy Cat CinnaBon Recipe is no exception! The house will smell heavenly when you bake these! These are just beautiful rolls that melt in your mouth and warm you from the inside out! While homemade rolls take a little time, they are worth every single second. Don’t skimp out on the frosting because… it is amazing! Seriously… it’s the best! These taste exactly like the cinnamon rolls I love to get at the mall! I’ve made them so many times and they turn out soft and perfectly every time! Mmmm…. perfect for breakfast or dessert… or snack. Ok, makes a good brunch too, and I’m not saying I’ve never eaten them for dinner… but I’m not saying I have either. 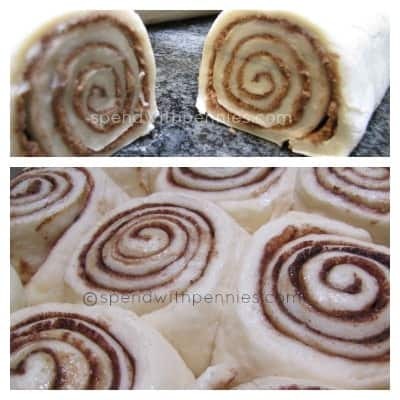 Copy Cat Cinna*Bon Recipe! 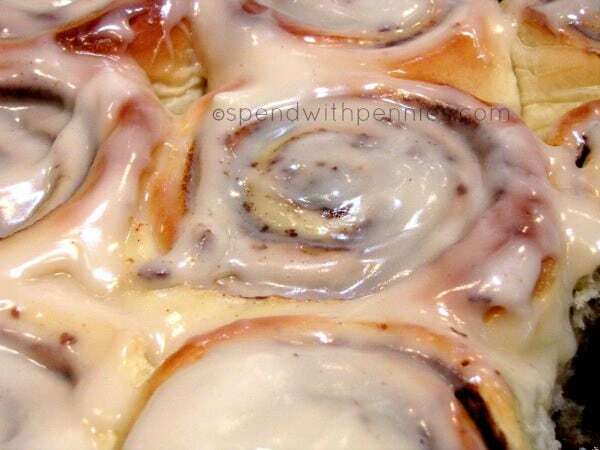 Delicious Cinnamon Rolls at Home! I can’t think of many things that make your house smell as amazing as homemade cinnamon rolls. 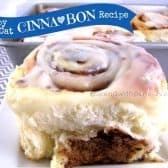 This Copy Cat CinnaBon recipe is no exception! Your house will smell heavenly when you bake these! Place dough a floured surface and knead in as much flour as possible. Continue to knead the dough until it is very smooth and elastic (this will take about 5-10 minutes). Cover dough with oil or cooking spray and plastic wrap. Let rest covered for about 15 minutes. Meanwhile, in a small bowl, combine brown sugar and cinnamon and set aside. Roll the dough into a 18x21-inch rectangle. Spread 1/3 cup butter on the dough and top with the brown sugar and cinnamon mixture. Starting with the long side, roll up dough so you have an 18" log. Cut into 12 even rolls. Grease a 9x13 inch baking pan and place the rolls in the pan. Cover with plastic wrap and a tea towel or kitchen towel and let rise until nearly doubled, about 45 minutes. Meanwhile, preheat oven to 400 degrees F.
Bake rolls on the center rack about 15 minutes or until lightly browned. While the rolls are baking, combine cream cheese, 1/4 cup butter, confectioners' sugar, vanilla extract and salt with a mixer until fluffy. Allow rolls to cool for about 10-15 minutes and spread frosting on warms rolls. The dough can be prepared in a bread machine. Combine dough ingredients in the order specified by your bread machine. Set on dough cycle. Let dough rest for 10 minutes once completed and continue with recipe as above. I’ve tried this recipe three times. It is delicious, but the insides are always chewy rather than doughy, and the buns do not rise at all when they are sitting inn the baking pan. Recipe expects they will double in size in 45 minutes per step 4, mine do not rise measurable after an hour. I use bread flour and follow the directions to a T. I have used the bread maker and have kneaded by hand. Yeast was fresh, bought today. Should I double the yeast? Is it Canadian vs US flour? It’s hard to say what went wrong. The flour should be the same regardless of country and with fresh yeast they definitely should be rising. Hand or bread machine kneading shouldn’t matter either. Are you using active dry yeast? What temperature are they set to rise at (I cover mine with a tea towel and let rise near a heating stove)? If it’s drafty or cool, that could contribute. I wouldn’t suggest doubling the yeast but you could try blooming it first and see if that helps. Add a bit of sugar and warm the milk to 105-110°F. Add the yeast and allow it to sit 5 minutes. Proceed with the recipe as written. I hope that helps! I let it sit, covered on the stove that is warming to 400 degrees. Do I bloom the yeast in the milk/butter mixture or another amount of milk? In step one, you combine 2 cups of the flour with the yeast in a large mixing bowl, then combine and heat the milk, butter, sugar and salt. This milk mixture to flour mixture (which has the yeast) along with eggs. Hope that helps Gaylen! I was wondering what the best way to store leftover cinnamon rolls? I am making a few batches for my husbands police department and they will need to be available to both day and night shift. Can they be left out on the counter for 24 hours? or do you recommend refridgerating? We usually keep them up to 2 days on the counter. IF it’s going to be longer than that, you might like to freeze them to keep them fresh. Love the recipe. Quick question…..have you tried freezing the rolls to use later? Before baking? I made some for a potluck but I want to make some for home and it makes too many at once. Wondering if I can freeze them, maybe allow to thaw and do final rise overnight before baking? I haven’t tried freezing them (although I do think it would work). Let us know how it goes. What is the secret of keeping the brown sugar, butter and cinnamon filling from oozing out of the bottom of the rolls into the bottom of the pan? Thanks! As the brown sugar melts, there will always be a little bit that seeps out. You’ll want to make sure your rolls are rolled fairly tight. The icing is too thick . I like mine to be a drizzle . How do u solve that ? I have only made it as written but mixing in milk a little bit at a time may work in this recipe. Hi! I’d like to try to make this recipe. Was wondering what size the eggs should be, if it makes a difference? Can you knead the dough in the mixer with the dough hook? Yes, you can certainly mix the dough with your stand mixer. Enjoy Dora! I’ve made these several times and love them! I’m planning on making again for brunch I’m hosting and wondered if they could sit overnight and bake in the morning. Would I let them rise then refrigerate or just keep them on the counter? I have made them before and kept them in the fridge overnight. You can take them out in the morning, they will rise a overnight in the fridge… if they need to rise more, you can leave them on the counter for a little bit before you bake them! Enjoy Erika! This Mama’s pregnancy cravings are for real. I was sitting here today in a snow storm contemplating driving to the next town over just to get a cinnabon but when I found your recipe, decided it was likely safer for me to just stay home. I hauled out my bread maker and let it go to work making the dough while my toddler napped the afternoon away. They were ready to go just after dinner and I can say with 100% certainty…that they satisfied my craving. No Mama’s pregnancy cravings should go unanswered! So glad these worked out for you! What dose the 4-4 1/4 cup mean? You will need four cups of flour or up to 4 and a quarter cups. These are amazing! The only thing I did differently was I ate one about 2 minutes right out of the oven… dont reccomend that part. And definitely dont skimp on the frosting! It just completes these and makes them 10 times better than cinnabon! So glad you loved them Brianna! approximately 7 grams! i back read thanks!!! :) will make it tomorrow! 1 package of active dry yeast is 7 grams, or 2 1/4 tablespoons. Enjoy! You’re welcome. So glad you and your husband loved the cinnabons! Thank you for taking the time to share this. I just made a batch and they’re wonderful. My family was wowed by them. This will now be my go-to recipe. Thanks again. You’re so welcome Bes. It is one of our all-time faves for sure! These should bake about 15 minutes per the recipe directions. Did you use regular all purpose flour? Your recipe calls for 4-4 1/4 cups of flour, but the instructions only calls for 2 cups of flour. Do I only use the 2 cups for the recipe? Is the extra for just kneading the dough? 2 cups is added at the beginning of step 1. At the end of step 1 you stir in the remaining. I have made this recipe overnight. While the fridge doesn’t kill the yeast, it won’t rise as much as you’d like overnight and I found I usually have to allow for an hour or two rise time in the morning. Let us know how it goes! Hey, I was wondering if you used salted butter or unsalted butter for this recipe. Hi Cecilia, I use salted butter in this recipe. Enjoy! This is BY FAR the best cinnamon bun I have ever tasted. I would even go as far as saying that it puts Cinnabon to shame. I’m a bread baker usually and the instructions saying to mix flour and yeast had me nervous because it sounded backwards. Far from it. 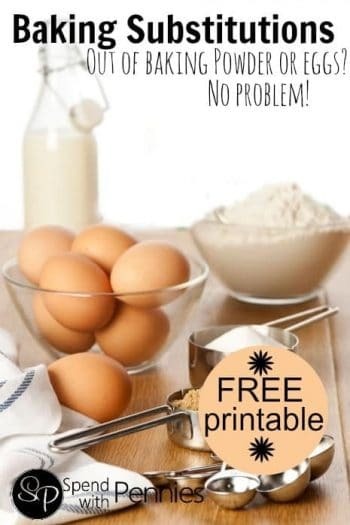 The dough is light and fluffy, the cinnamon mix is perfect, and the cream cheese frosting is precisely how cream cheese is supposed to taste…creamy and sweet without being thick or overly sugary. I have absolutely found my new go-to for a sweet treat!! Thank you so much for sharing this recipe!! So glad you loved it Mia! I am so glad you loved them! 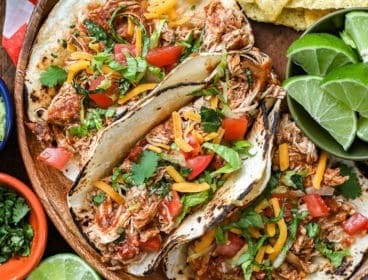 I love this recipe and it always comes out AMAZING!! tip: you can make the cinnamon rolls the day before and let them rise over night then bake them in the morning when you are ready for breakfast and they will be SOOO FLUFFY and perfect. Great tip Layla, so glad you loved them! By letting them rise overnight. Do you rise on the counter or the fridge? I have been making many batches of cinnamon rolls with many different recipes, and I love this one the most. Using BREAD flour instead of All Purpose Flour does make a difference. The first thing I do is always proof the yeast with half cup of milk plus 1 teaspoon of sugar. The question I have is whether I need to let the dough rise first before rolling out?? In your instruction i Only see the part about letting the it rise after the dough been rolled out. I also forgot to mention that I use margarine instead of butter, it taste just as good. Thank you for the tip on the bread flour, I’ll have to give it a try! I personally didn’t rise the dough before rolling out (but you certainly can if you’d like). Made these last night and they were so good. I made early enough to give them plenty of time to rise and they definitely rose and filled the pan. Everyone loved them. Will be making these again. I did turn the liquid mixture off when it hit 120 degrees and let it sit in the dry mixture a couple of minutes before adding the eggs so there were no problems adding the yeast directly to the flour. I’m so glad everyone loved them Betty!! Your recipe rocks! Thank you for sharing it to the world! So glad you enjoyed these Joy! 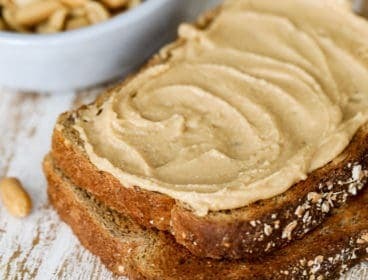 Hi I want to make these, first off do I mix the yeast with water first? And can I mix it by hand? The yeast is mixed dry in with the flour (not mixed with water). I haven’t tried mixing it by hand, but I’m sure you could do it! My go to cinnamon roll recipe. I make my dough in bread machine and then let rise for one hour. I roll the dough and cut into 2” rolls for 12 rolls. I take to work and have a lot of people hooked. So glad you love them Rich! Perfect!Thank you for sharing! Much faster than the usual recipies.I made them with regular baking flour,and they turned out delish!! I prepared them in the evening and left them rising inside the oven overnight. Baked them in the morning and served them for breakfast!Everyone happy! Sounds perfect! Glad you loved them. A package of active dry yeast is approximately 7 grams. These are so quick and easy! Anyone can make this simple recipe. They taste absolutely great. A good recipe to do ahead the evening before and refrigerate then bake in the morning. Your special guests and family will think you’re amazing! I’m glad these are such a hit for your guests and family Candy! It’s amaaaaaazing recipe, i really recommend to make it. So amazing! Simple And the best cinnamon rolls I have ever had hands down. I am so glad you enjoyed the recipe! This was fantastic. Used betta sugar instead of sugar so made it a sugar free recipe. Absolutely like the real thing. We live in NZ and fell in love with Cinnabons on a trip to US. Can’t get them in NZ so this is the next best thing. I’ve made this recipe twice and I love how easy the recipe is to follow! They are very close to the real Cinnabon rolls! This recipe is a keeper! Delish! I’m so happy to hear that Cindy! Can you use self rising flour instead of bread flour? I’ve only tried this recipe as written. Let us know how it goes if you try it. Oh my goodness! Just made these with my babies tonight, and they were DELICIOUS! Thank you so much for sharing the recipe! Yay! So glad you loved them! After baking and cooled off, can I refrigerate them and serve them in 1-2 days? How long do they keep when refrigerated after baking? We usually keep them up to 2 days. IF it’s going to be longer than that, you might like to freeze them to keep them fresh. Great Recipe, Tasted the same as at Cinnabon. I added Pecans and Raisins. Yummy! Glad you loved it! I made these this morning! Followed the recipe exact and they were delicious!!! I tried posting a pic but it wouldn’t let me. PEOPLE!! THIS IS THE ONE! OH. MY. GOSH! This is the REAL DEAL! This tastes just like Cinnabon- you have GOT to try this! Love the recipe… they turned out great. Seems like i am making a batch weekly. I am so glad you are enjoying this recipe Kersha! Hi Holly, Your recipe looks very good! I wondered if you have only used the regular yeast, or have you tried using the fast acting yeast, too? I’ve got the recipe printed, and will be trying it soon. I like the different method of mixing the yeast in, also! I haven’t tried the fast acting yeast before. Please let us know how it goes if you try it. Made these for my hubby today….I can’t eat them because of a gluten intolerance. He declared them AWESOME!! He said he would eat the whole pan tonight except he might get sick from doing that. Lol. Hanks for the awesome recipe. I’m pinning his where I can find it again! I am so glad your husband liked these! Made these for Christmas morning and these babies did not rise. I read it’s fine not to dissolve the dry active yeast into water, but man oh man… I could still see those little undissolved granules of yeast in the dough once it came time to rise. They came out of the oven dense, crunchy, and not doughy or soft. I’ll play it safe and dissolve it first next time. Do you know why it is this recipe calls for putting the yeast straight into the flour? How disappointing that this didn’t work out for you. I’ve made them countless times and have never had that problem. Hey Courtney! I was having the same problem with my dough, it was not rising. I figured that the environment I was trying to get them to rise and was not warm enough, so I preheated my oven at 200° for about three minutes, then I turned the oven off and I put my buns in the oven to rise. It took them about double the time that this recipe calls for to rise (About 2 hours) but they did in fact rise after all! At first I was so disappointed because they weren’t rising and I figured they were ruined. But putting them in a very very warm environment help them to rise. Thank you for the tip Amy! Did you use bread flour in this recipe? I’ve made these countless times and I never use the full 4 1/2 cups of flour. Are you certain of the measurements for your liquid? Love this recipe. I was hesitant at first but is amazing! Thanks for sharing!! I have made this recipe a half dozen times or so and they are a family favourite for sure! They are a bit stubborn to get to rise but I find that if I preheat my oven for just maybe 3 minutes at it’s lowest setting then turn off and put a pan of boiling water in the bottom of the oven, they rise beautifully in about an hour or so. My family prefer these to ANY cinnamon bun you can buy! Thanks for the great recipe! So glad to hear your family loves them Bonnie! Thank you for sharing your tips. I usually never post comments but I just had to after trying this recipe! I have used other cinnamon roll recipes with good results, but those cannot compare to these soft, gooey, cinnamony goodness. My search for the ultimate cinnamon roll recipe ends here. These are undeniably better than the original Cinnabon. Thank you! I am so glad you enjoyed this recipe! Thank you for your kind words! At what point do you mix in the remaining 2 1/4 cups of flour? Once you’ve mixed the initial 2 cups/yeast with the warmed egg/milk/butter mixture? Or as you’re kneading it? Room temperature milk is best. A packet of yeast is about 7g. Does anyone knows how can i replace the breadflour? someone else said they used all purpose flour and they still came out very good. Hi!! Can i use regular flour?? I have always prepared this recipe as written. If you use regular flour you may notice a slightly different texture but it should turn out. Let me know how it turns out for you. Thanks so much for the recipe. My daughter loves cinnamon rolls but is extemely allergic to dairy. I made this recipe with non-dairy butter spread and rice milk and it turned out perfectly. Instead of the cream cheese frosting, I made a frosting out of buttery spread, powdered sugar, vanilla and a little lemon juice and it was delicious! Great idea, and so glad it turned out for you. Made these today and so disappointed. Followed the recipe exactly and used digital thermometer for milk butter mixture. They did not rise at all. I will try the suggestion of putting them in an oven that was preheated to 200 and see if that helps. I’m sorry this didn’t work out for you, I can’t say for sure why as I’ve made these several times and they always work well for me. Hi I’d love to try this recipe but I have a question: why do you let the dough proof for only 10 min? A lot of other cinnamon roll recipes let the dough proof for usually an hour or so? WIll it affect its texture/softness? Thanks! I can’t say for sure how this compares to other recipes as this is the recipe I usually make. Hi! 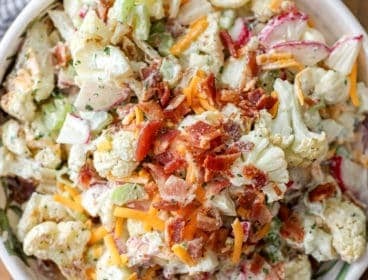 I just found this recipe and hope to make it very soon! Thanks for sharing it. I have some questions about the butter, can it be unsalted butter? Or no problem with it being salted? Or can I use margarine? Unsalted butter should work just fine. I’ve made these once and they were delicious. They didn’t rise well, sadly but after six hours of being inside and then outside on a warm day, they rose enough. Going to make them again soon. Just a comment on your instructions. You say roll “starting from long side” ending with an18″ roll. If starting on “long” side, the roll should be 21″ long. At least that’s the way I did it. Great recipe! My granddaughter and I made these today. The smell was heavenly and the just melted in our mouths. We had 12 huge buns. We will DEFINITELY be making these again and again!! I am so glad you enjoyed this recipe! I need to make these for 25 people. Can I make a head and freeze them? If so, freeze them uncooked or cooked. I have not tried freezing this recipe. I would suggest you make a test batch to be sure it freezes well. hi there, this one had such impressive reviews. i wanna try this. i know this is not for beginners but i might have a Luck :) question. i package active dry yeast is one tablespoon? thank you. I believe one packet equals 2 1/4 teaspoon. 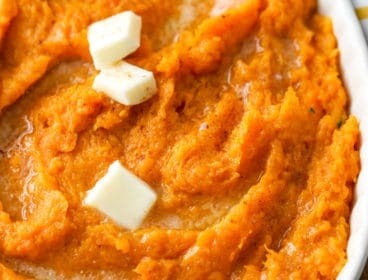 do you know of a method to reheat these in the oven if you want to serve the next day? You could pop them in the microwave for about 10-20 seconds to make serving the next day super simple! Hi Holly. Busy making the Cinnabon rolls but using the Arabic dough which is as follows. Mix together and set aside for 15 min. Will post a pic of once it’s done. That sounds like a yummy recipe for dough!! Thanks for sharing! This recipe worked really good. In my S.S. class i have to do a project a on spice from around the world. My Spice was cinnanom. I’m so glad you enjoyed it. This is the perfect recipe to showcase cinnamon! Do they turn out differently if you use convection versus conventional oven? I have only cooked this in a regular oven. You might like to look at the manual for your convection oven to see how to best make the conversion for baking (I *think* you will need to reduce the cooking temperature by 25 degrees and maybe reduce the cooking time as well). I love the taste of these cinnamon buns but I’ve been having trouble with them rising. I have done this recipe twice, the second time I made sure my active dry yeast was fresh, my liquid was the right temperature and they had plenty of time to rise in a warm area. Can you please give me any other insight as to why my buns have not been rising? To test yeast, dissolve 1 teaspoon sugar in 1/2 cup warm water (110°-115°). Sprinkle with 2-1/4 teaspoons active dry yeast. Stir and let stand for 10 minutes. After 10 minutes you should see a foamy layer on top. I hope that helps! Just want to know when I read the recipe it says 4-4 1/4 cups bread flour. When you look at the instruction 2 cups, what you will do about the rest of the flour. I want to try this recipe but not sure which one to follow. You start with 2 cups and then gradually add in the rest of the flour to get the right consistency. I’ve made this recipe, used a bit more flour to get the texture of the Dough right and I cut it with floss to get the circles perfect. It turned out great and tasted awesome! I am so glad you loved this recipe and it turned out for you! 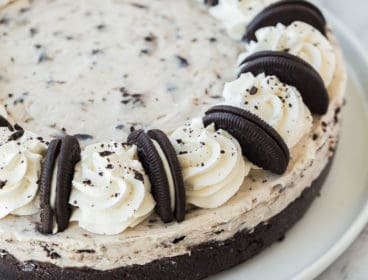 Can this be frozen once prepared even with frosting and for how long? If you want to reheat them, it might be best to save the icing for after reheating. I popped these in the microwave once and it caused my frosting to melt. I’m so glad you loved them Irina! :) I agree… the icing is so good I could eat it by the bowl full! Oh no, how disappointing! Did you test your yeast to make sure it’s active (and not expired)? Hi. The recipe for the dough is asking for 1cup of milk and 1/2 cup of sugar. So, warm 1/2 cup of the milk along of 1teaspoon of sugar to the correct temperature. Sprinkle 2 1/4 teaspoon of yeast or 1 packet of yeast. Wait ten minutes. You should see foaming rising up. That’s how you know the yeast is okay. Hope this help. Thank you so much Lily! I made these last night and this is honestly the best cinnamon roll recipe I have found. I will definitely be making these again. Thank you so much for sharing! Thank you so much! We’re happy to hear that these were a hit! hello. i will like to know what amount of yeast exactly will be needed? how much in 1 pack? 1 packet of yeast 2 1/4 teaspoons. You will need enough flour to create a soft dough that is not overly sticky. If your dough is sticky, you’ll want to add a little bit more flour. I made these buns this weekend, and I must say they were AMAZING!!! The dough is sooo good… I made the dough in the bread Machine, and it turned out super duper delicious…. I’m so glad you loved them as much as we did! I absolutely loved these! Thank you! how much yeast did u use? we oh so love and missed cinnabon rolls. Thank you for this recipe, i can make it at home anytime! great recipe! Thank you again. You start with 2 cups and then you mix in the remainder. I just made a double batch of these cinnamon rolls tonight. They turned out excellent! I’ve made SO many different cinnamon roll recipes and this I would say is the best. The dough was extremely easy to work with. That made the the rolling out task and rolling up task so pleasant! To one pan I added small apple chunks along with the butter, brown sugar and cinnamon. Oh my…that was an excellent addition. I would definitely add those again. I didn’t measure the filling ingredients. I just smeared soft butter then sprinkled a lot of brown sugar & cinnamon. I think I was a little heavy handed but it turned out well! Thanks for the recipe! I will definitely make again! I’m so glad you loved them Heidi! I haven’t tried apple in this recipe but I think that would be SO amazing!! Thank you for sharing! Awesome. Would recommend this recipe. I used AP flour in error and they wee fantastic. I’m so glad you loved them! Can I put the cinnamon rolls in the refrigerator until I am ready to eat them hot? Are you looking to refrigerate them before cooking? Followed recipe exactly as instructed and made the best cinnamon rolls ever~ thank you for sharing!!! Made these beautiful cinnamon rolls, and the recipe worked perfectly for me (it was my first time, btw!). It was soft and melt in the mouth. 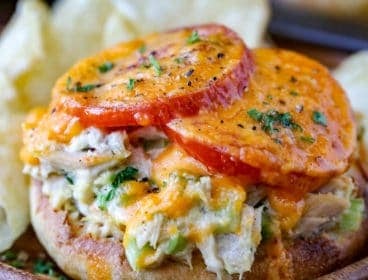 Glad was able to see your recipe in Pinterest! Thank you for sharing this recipe! When I first read this recipe, I thought it was strange that the yeast just went in with everything else without first activating, but I did it anyway. Cinnamon rolls did not rise. :( it’s Christmas morning and I used all organic ingredients. It doesn’t look like anyone who commented has actually made these- FAIR WARNING. these are not edible. How disappointing that these didn’t rise for you Emily. There are several comments from readers who have had great success with this recipe as written. I can’t say for sure why yours didn’t rise however hopefully if you leave them on the counter a little bit longer they will rise. I know that doesn’t help this morning. So just a tip for those of you asking about the rising in 45 minutes. I’ve made these three times, each time mine also do not rise at all in the 45 minute time frame. Don’t stress. Heat your oven to 200, turn it off and place your tray in there (covered) to sit for the 45 minutes. They will rise and be beautifully fluffy! You can refrigerate overnight after that or turn your oven back on to baking temp and start baking them then. They are such good cinnamon rolls! They have become my Christmas tradition! Happy baking. Thank you for sharing. Merry Christmas Christine! Yes they can. You will want to cover/refrigerate them before rising in step 4. Check them in the morning before baking and if they still need to rise a little bit more, you can leave them covered on the counter. Just made a test batch of these to see if I wanted to make for Christmas. They turned out fantastic and are a big hit. Taste just like the real thing. Thanks! The recipe says to mix the milk with the flour. Did you mean mix with the melted butter mix? Could explain why some people didn’t get this recipe to rise. Thank you for your suggestion Andrea, the warmed milk mixture (including the butter) is added to the flour. Hi, I found your recipe on Pinterest, and omg!! I must try this out. But I notice you said we can use a bread machine, but I was wondering if I can use a stand mixer. My kitchen aid has the bread hook, would that work also? Yes, you can certainly mix the dough with your stand mixer. I made these the other day for my husband and co-workers and everyone LOVED THEM!! they said they were the best they ever had! It was my first time making cinnamon buns and they turned out great! Thank you for all the amazing recipes! I’ve made 4 of your recipes now and everyone of them was delicious! I’m so glad everyone loved them Catherine! They look simply delicious and can’t wait to try them.i love new receples. Always looking for new ones. After I let the dough rise for one hour and then form the cinnamon rolls, could I put these in the refrigerator overnight to let rise for a second time? I want to make them for breakfast, but I don’t want to spend the entire morning making them and not be able to eat them until noon. I want them rise for a second time overnight so they will double in size again and result in jumbo sized cinnamon rolls and because it won’t cause my back to hurt near as bad as if I did it all in one morning. Yes, I have done it this way before. You may need to leave them out on the counter for a little while in the morning if they haven’t risen quite enough. How much is 1 package of active yeast ? 1 package of Active Yeast contains about 2 1/4 teaspoons of yeast. Whats the size of the yeast package? Mine has 0,7oz (20g). Each yeast package has about 2 1/4 tsp of yeast. This recipe looks so wonderful. I was inspired to try it, but the rolls did not rise. My powdered yeast was fresh (not expired) and I used a digital thermometer to make sure my milk, butter, sugar and salt mixture was within the temperature range you had given. The other ingredients were appropriately measured and I covered the rolls with saran wrap and a tea towel and placed in a warm section of my kitchen. Can you tell me what type of yeast you are using? Some of your other readers suggest a longer rise time than the 45 minutes. How long should I let it rise before I can determine it is not going to work at all? Shouldn’t there be some rise within the first hour? I cannot pinpoint what can be the problem since I did everything in accordance to the recipe. Any help would be appreciated. I’m so sorry this didn’t work out for you, that’s so disappointing especially because these rolls are a lot of work. Was your yeast active dry yeast? I use Fleischmann’s Active Dry Yeast (although any brand of active yeast that hasn’t expired which you checked) should work just fine). It sounds to me like you’ve done everything right. There should definitely be some rising in the first hour and if there was no rise at all that makes me wonder if there was another issue. You can also check your thermometer here as the temperature could’ve been an issue as well. I’m sorry these didn’t work for you, I’ve made them several times and they truly are delicious. I hope you try them again sometime with great results. What is the difference between bread flour and a regular, white flour? I would love to make this in the morning . Bread flour has more protein/gluten so it results in a higher rise and a slightly chewier texture. Hi there! Thanks for the recipe. I ran into a problem with my end product- there was a lot of sugar that we were just crunching on because it did not dissolve or caramelise. The buns cooked for the full time. Should I use less sugar or use castor sugar maybe? Was your brown sugar soft prior to mixing it? Did you use the full amount of butter? Can these be made up the night before and refrigerated and then baked in the morning?? Yes! 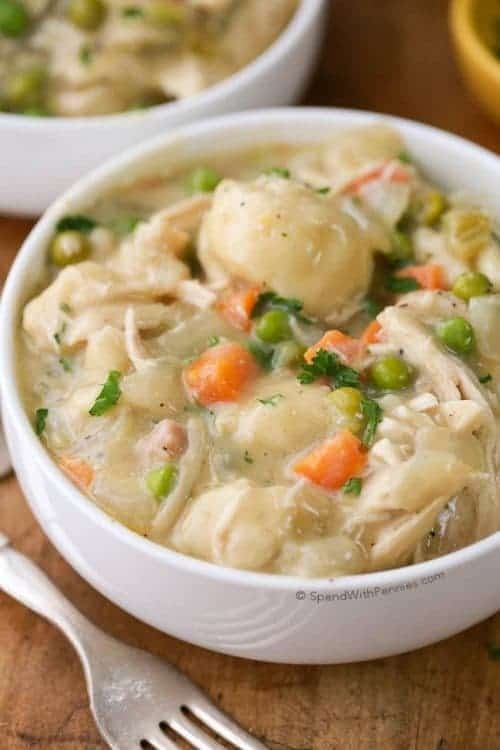 They will rise in the fridge overnight… if they haven’t risen enough, you may need to leave them covered in a warm area to rise a little bit more. I will try your recipe. Thanks for sharing. Baking for 15 min leaves the insides gooey and undone. I recommend baking for longer. Unfortunately I frosted mine before I found out they were not done…yay me. No, the yeast was not dissolved in water first. LOVE this recipe!! I have tried about 10 different cinnamon roll recipes and this is the only one that turns out for me. however i do encounter a problem each time: my dough takes 3-4 hours to double in size once the rolls are in the pan. Why is that? Whenever I make dinner rolls or bread it never takes near that long so how come with cinnamon rolls? There are a few factors that could affect your rising time. It could be related to the temperature (for example is there a draft), humidity or even the freshness of your yeast. So these are currently cooling on my stove top and they are DELICIOUS! I’ve always wanted to make homemade cinnamon rolls but never had the guts. These were easy enough, and truly come out tasting like a Cinnabon! I didn’t have a rolling pin so I used a bottle of wine lol my rolls could have been a bit smaller and more tightly rolled but hey it was my first time! I will be making these again! So glad you loved them… and a wine bottle is the perfect improvisation for a rolling pin! Hey I’m kind of in a high elevation area and every time I try baking things like bread they don’t turn out as fluffy as I’d like. I’ve researched it a bit and I’ve heard it helps if you let it rise, punch it down and let it rise again…any tips on this recipe? Also, do you recommend starting it the night before if you want them around lunch time? I haven’t had any problems with this recipe rising. I have made them the night before and let them rise in the refrigerator overnight. If you do try that method, I would suggest checking them first thing in the morning and if they haven’t risen enough you might want to set them out to continue rising. Can I use a yeast substitute and not yeast? If so, which one? I have only made the recipe as written so I’m not sure. Maybe someone here can help you! You need a dash of lemon extract in the frosting. woww these were amazing!!! I handed the recipe and gave me six big cinnoman rolls these taste just like Cinnabon !!!! So glad you loved them as much as we do!! Once the dough is made into rolls, the rolls will need to rise. I am about to try this recipe for the hubs! Cinnamon rolls are one of his favorites and I am excited to potentially have a great go-to recipe. Thank you!! hi I was you wrote 1package dry active yeast, could you tell me the measurement because I’m not sure how much 1 package is? 1 package od yeast is 2 1/4 teaspoons. Made theses this morning…..SO GOOD! I used a 9×13 ceramic dish to bake the rolls in, at 400F this resulted in the tops browning a lot more, outside rolls done, but inside ones were not. Would you suggest a different temp? (Convection oven) or a metal pan? It also seamed that the rolls grew a bit to much and did not have that pretty flat surface. Too much yeast? Ovens can sometimes vary which may cause your rolls to cook differently. In this case I would suggest cooking them at a slightly lower temperature if the outside rolls are cooking quickly and the inside rolls are not cooked. (I did use a metal pan for this recipe). Did you use active dry yeast? And yes active dry yeast. First time baking with yeast. So this may seem like a dumb question but do I just add the yeast (dry) to the flour or dissolved in water? Great question. In this particular recipe you add the dry yeast to the flour. My rolls didn’t double in size at all even though I let them sit for more than an hour. I reread your recipe and realized that maybe the milk needs to be at room temperature also. I’ve only made cinnamon rolls one other time and I don’t remember what recipe I used. The milk gets heated on the stove to 120-130 degrees. I’ve not had much luck making good cinnamon rolls through the years, so I don’t make them very often, but I made these today and they turned out great! I took some to the neighbors (did a quick taste test first to make sure they were ok) and they said they were the best cinnamon rolls they had ever tasted!! They weren’t that difficult to make either, so these will definitely be on my list of favorites. Thanks! :) So glad they worked out for you Trudy! I am going to try this recipe for the first time and I am super excited! 2 batches, one for now and one for later; going to see how they turn out freezing them! Wish me luck. I hope you enjoy it as much as we did! Holly, the recipe calls for bread flour, I only have all purpose flour, would this be okay, or do I have to wait until I go to the store for the bread flour. I have used all purpose flour in this recipe in a pinch and it did work just fine for me! Has anyone frozen these before baking them off? Thanks!! I have frozen these before baking and they turned out just as amazing as when I baked them according to the recipe posted. I just put them in a greased pan overnight (8hrs) covered with a tea towel. They thaw and rise perfectly then I bake them as posted above. I LOVE this recipe!! I have tried a few other cinnamon rolls recipes but after finding this one I will never use another!! :) I’m so glad you love these as much as we do Jamie! I forgot to mention I leave them out on my counter for the 8hrs they are thawing and rising. Hope that helps! I was wondering if these could be frozen before cooking ? I haven’t tried it that way Melanie. If you do try it, I’d love to hear how it works out for you! Hi there, I have made this recipe two time. Once with Active Yeast and another with Highly Active Yeast. Both times the dough did not double in size within the 45 minutes. What could I be doing wrong? Any suggestions? I haven’t had that problem. Are you leaving the dough covered in a warm draft free place? Is your yeast fresh and has it been stored in the fridge if it is an open jar? The yeast is fresh from the store in a sealed packet (exp Sept 2015). I covered the rolls with plastic wrap and a tea towel and put the the pan on the stove top. I turned the oven on to 325 to keep the kitchen warm hoping to help the rolls increase in size. It sounds to me like you have done everything right and I can’t tell you why the rolls aren’t rising for you. My only suggestion would be to allow more time than I have suggested in the recipe and hopefully they will rise although it may take longer. Make sure your milk mixture isn’t too warm or not warm enough. Can you make the dough in advanced? I would like to make these for christmas but have the dough ready the day before. I have made them before and kept them in the fridge overnight. You can take them out in the morning, they will rise a overnight in the fridge… if they need to rise more, you can leave them on the counter for a little bit before you bake them! You are not adding warm water to the yeast. it should be warm water between 105 and 115 F. Otherwise the yeast will either die at high temp or stay inactive at low temp. Add yeast to warm water and let it reast for 10 minutes. Once bubbling add them to the ingredients. Nope followed the recipe perfect! 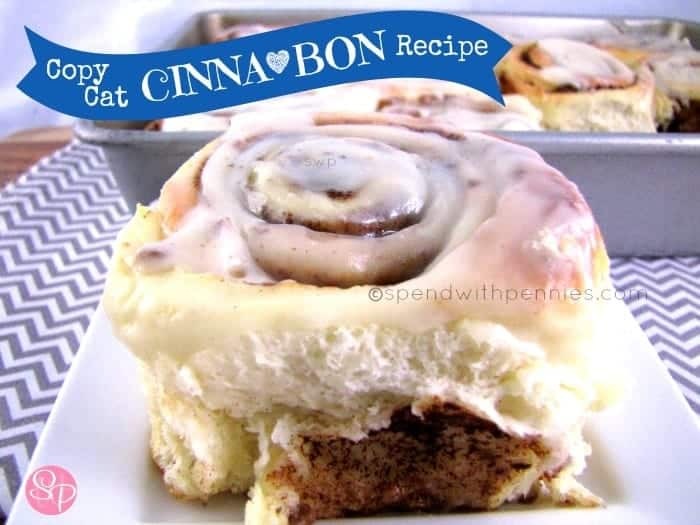 I cannot wait to try the copy cat Cinnabon recipe…yum!! I can’t get them anywhere near where I live. Thank you for this great recipe!!! This recipe looks delicious!!! Thank You!!! Printing it now for Christmas Morning!!! Amazing.. second time I have made them.. so good! My sister, friend and I made these. Super amazing. I did a happy dance. Thanks for sharing – I saw your post from someone’s facebook. You are my Cinnabon hero :). I think I love you!!! Thank you so much for sharing your awesome recipe with Full Plate Thursday. Hope you have had a great weekend and have a fabulous week. My kids and I were just talking about missing Cinnabon rolls. Now I can surprise them with these cinnabon copy cat rolls. Thanks for sharing at Inspire Us Thursday on Organized 31. I have only one word for this post – AMAZING!! I only get Cinnabon when I’m in an airport. They don’t have any locations in my area. Now I don’t need to wait until I travel! Thank you so much for linking this recipe to Wake up Wednesdays. I shared this recipe on FB, Twitter and Pinterest. I found your post on Two Cup Tuesday. I love cinnamon rolls and I’m always looking for the best recipe. I’ll have to try this one.